Rotterdam-based architecture firm MVRDV, which won the competition to transform the mall, unveiled its plans for the development project last Friday. 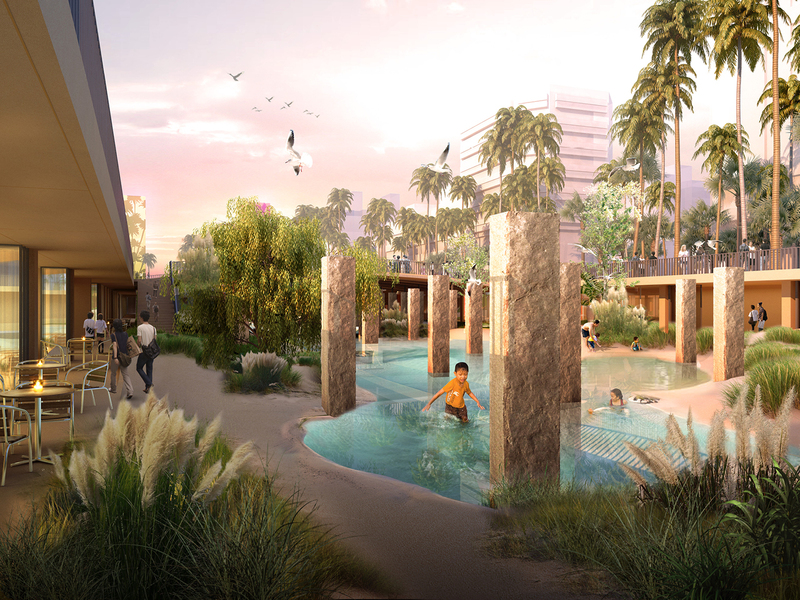 Working with Taiwanese firms The Urbanist Collaborative and LLJ Architects, MVRDV will convert the space into a public park, complete with playgrounds, sand dunes and a central pool. Small shops, such as souvenir kiosks, teahouses and galleries, will line the periphery. 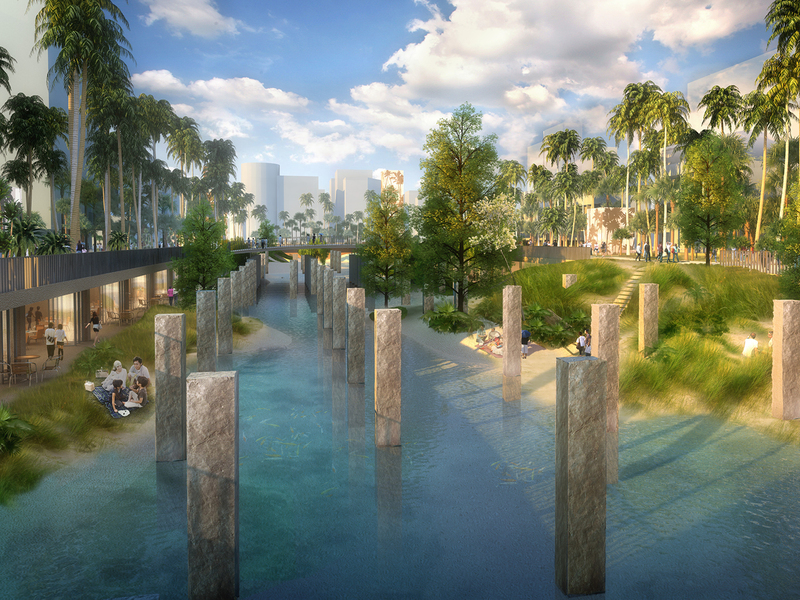 In a clever repurposing of existing structures as edgy sculpture, the concrete pillars that formerly comprised the foundations of the mall’s underground parking garage will remain intact, punctuating the lagoon. 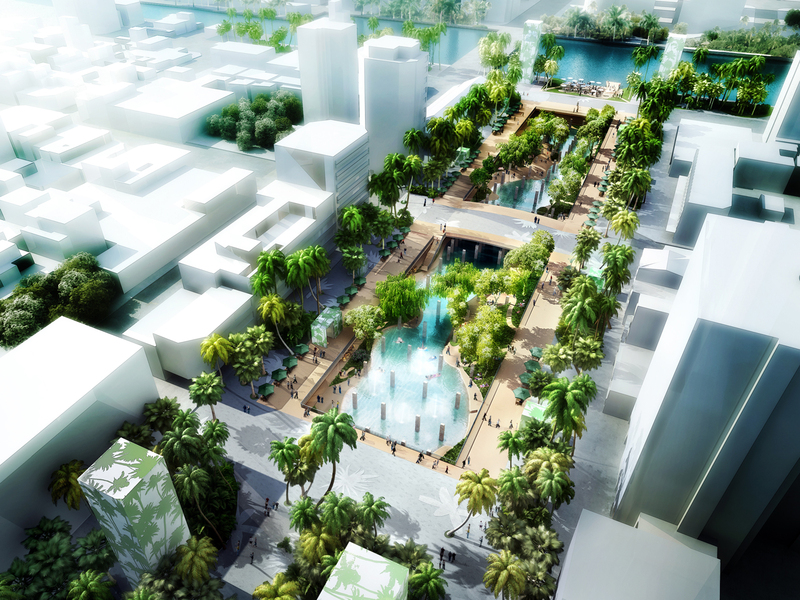 The emphasis on water is a nod to Tainan’s proximity to the sea, which once fueled thriving fishing and shipping industries. 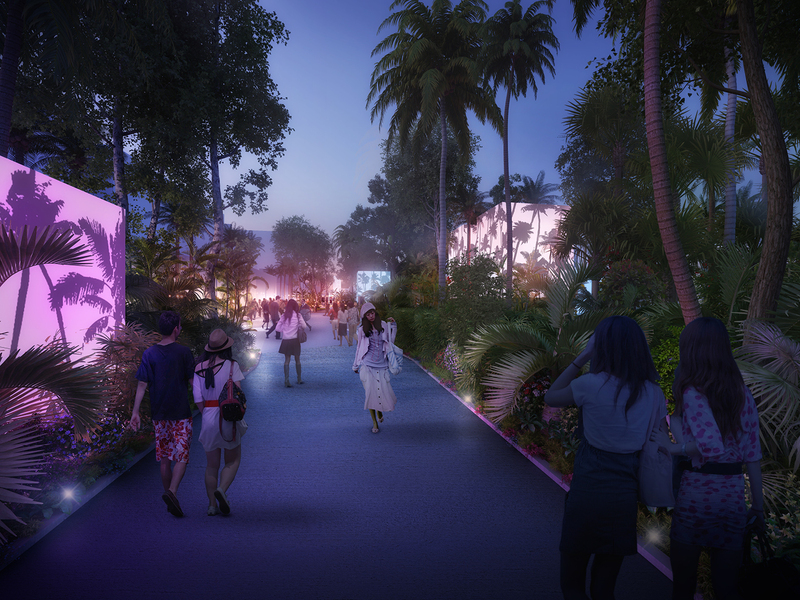 By eradicating the China-Town Mall and restoring visibility of the waterfront, MVRDV aspires to reconnect Tainan to its heritage, both physically and symbolically. Construction is slated to begin in autumn of 2016.